​When Saturn is in Virgo it tends to make the native very serious towards work and duty. It influences the native’s determination positively, so that he/she gets what is desired. The native works very hard and is careful in doing everything. In fact, it is a very friendly sign for Saturn to transits, as in the next sign it gets exalted. Besides, it is Saturn’s friend’s sign. 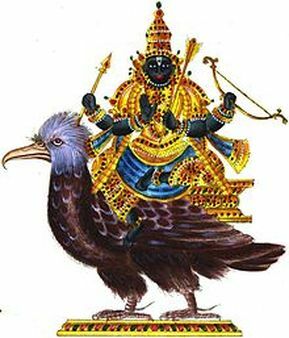 Therefore, it makes many qualities from Mercury and bestows them on the native, making him/her very agile, reflective and analytical. Adherence to routine and practical activity is always present with this kind of placement of Saturn. The native pays attention to detail and discharges his/her duty patiently and cautiously. It is certainly a very powerful placement of Saturn in this sign in the native’s chart. When Saturn transits the sixth house it may provide an ability to work very careful and hard. But he/she may also be known to grumble about small matters, which will lead to dissatisfaction and restlessness in the native. He/she will not like much change, which may be due to lack of confidence. For a harmonious life, the native must try to transcend pettiness and an overcritical attitude.